Hydrophobic xenon hosts like cryptophanes partition easily into phospholipd bilayers. 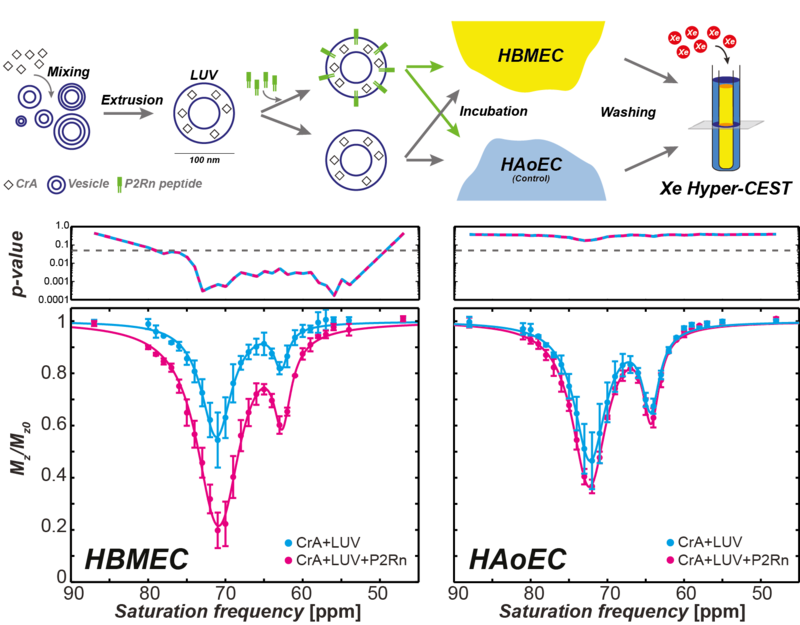 CEST spectroscopy shows enhanced saturation transfer in the lipid environment. 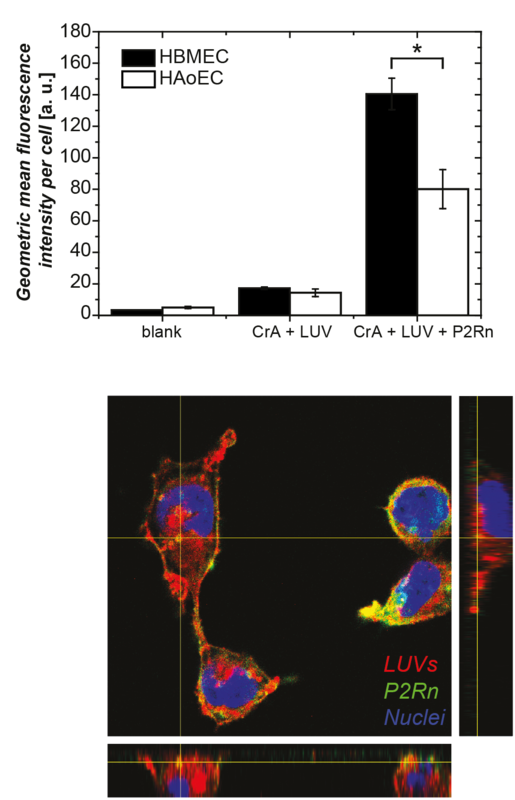 This can be used to prepare liposomal nanocarriers for selective cell labelling (brain endothelial cells of the blood brain barrier in this case) with excellent conditions for Hyper-CEST MRI.